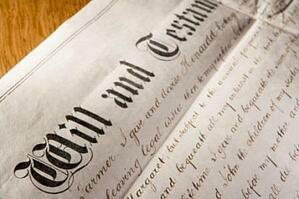 Estate planning is essential to eliminating the uncertainties related to the disposal of your estate after your death. Besides appointing an executor, creating a will and designating beneficiaries, you should also consider setting up a trust to protect your assets and adding life insurance to provide a cash benefit for your heirs. If you are living outside of the country of your citizenship, global life insurance is available to protect the financial security of your beneficiaries. Put simply, proper estate planning will help reduce the amount of taxes and expenses that your heirs will pay after your death; it will also help reduce the amount of time that your estate is held in probate. An attorney or accountant can help you to set up your affairs, and once you’ve decided who your beneficiaries will be, you can begin the process of creating your will and managing your finances. Establishing a trust is one way to protect your assets and help mitigate some of the taxes that will be applied to your estate after you have passed away. When you set up a trust, you place a portion of your assets into a fund that will be managed by a trustee for your beneficiaries. Because the trust is no longer owned by you, but managed by trustees, it is not considered a part of your estate and typically not subject to taxes; however, if the government determines that you are still benefiting and using the assets in the trust, you may still be taxed on the income generated. Many people choose to create offshore trust accounts to help alleviate some of that tax burden. A life insurance policy is an essential part of every estate plan. The proceeds from a life insurance policy are usually tax-exempt, and they can be used to pay for funeral expenses, settle any outstanding debts or estate taxes, and provide income for your loved ones. There are many types of life insurance policies, and it’s important to choose one that meets the needs of your heirs. Some life insurance policies allow for investment options that can significantly increase the amount of your policy. This type of insurance is called variable life insurance, and the amount of the policy is connected to the investment accounts linked to it. Variable life insurance policies are typically more expensive to maintain and are usually only available to purchasers wanting to invest a large sum of money. If you aren’t a citizen in the country in which you live, you have the option to purchase global life insurance. This type of insurance is ideal for expatriates or retirees who have settled abroad. Global life insurance policies are available as whole, term or universal life policies and offer the same benefits. Global life insurance policies are also available as variable life insurance policies and are an attractive option for those interested in offshore investing. When planning your estate, you have many options to help manage your assets so that your heirs will be provided for after your death. Creating a will, establishing a trust and securing life insurance are important steps to take to help mitigate the burden of estate taxes. If you are interested in creating offshore capital, purchasing a global life insurance policy will help you to plan for the future of both you and your heirs.